Deland was nicknamed, "The Athens of Florida." The city of DeLand was founded in 1876. Located in Central Florida between Orlando and Daytona Beach, one of the more popular facts. DeLand is home to Stetson University, Florida's oldest college. Stetson's stately red-brick buildings, Greco-Roman columns and magnificent oaks exude the aura of a quaint New England college town. Stetson Mansion, listed in the National Register of Historic Places, is a blend of cottage, Gothic, Tudor, Moorish and Polynesian details. In addition, DeLand offers visitors the chance to explore the Museum of Art - DeLand and De Leon Springs State Park. At the park, you can take a dip 25 feet down to the mouth of the springs that release about 15 million gallons a day. Feeling even more adventurous? Rent a canoe or kayak and paddle down the Spring Garden Run beside the Lake Woodruff National Wildlife Refuge for an eyeful of birds and other wildlife. 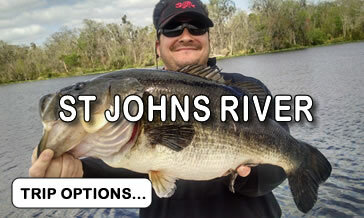 The St. Johns River is one of the many bodies of water in Florida that make it the Bass Fishing Capital of the world. The freshwater of the St Johns runs along Deland and supports most of the resort facilities combine to provide our guests with a fisherman's paradise. 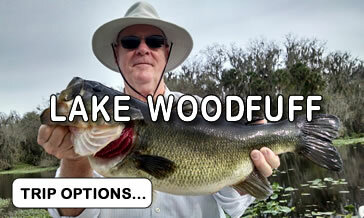 Choose among fishing for bass, crappie, bluegill, catfish or many other species. There's a reason it's called "Old Florida," Todd Kersey, a veteran captain, says. "When people come down to visit Deland and do a Deland fishing trip, I let them know this is what old Florida fishing used to be like." The slow-moving river, the largest in Florida (approximately 310 miles long), offers a wide variety of species to catch. The river, which is the only river to flow north, begins in Indian River County and meets the Atlantic Ocean in Duval County. 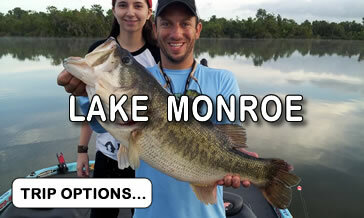 Fish the waters of Central Florida on a boat fully loaded with high-quality rods, reels, hooks and artificial baits. 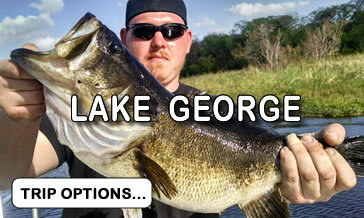 Drop a line into the world famous bass waters in Florida with bass, crappie, bluegill and bowfin. Be guided by local lake experts, who lead you to the best spots on the lake and share their knowledge and experiences. Take home a souvenir of your big catch with perfect photos taken by your guide and spread on social media as desired. Complete Operator information, including local telephone numbers for your destination, are included on your Confirmation email. Our Trip Managers select only the most experienced and reliable guides in each destination, removing the guesswork for you, and ensuring your peace of mind. Participants are encouraged to bring comfortable shoes, light colored shirt, a hat, sunglasses and sunscreen. Click here to read more about Deland and all it has to offer.